Aldi have been making quite a name for themselves in the beauty department for a few years now and this latest drop is sure to cement their winning budget beauty status. We've all heard tell of that Aldi face cream, right? Well today I'm going to chat to you about their beauty essentials. Three products that will cost you little yet will go a long way in prepping your festive makeup routine. I've been trialing three must-have beauty essentials from Aldi, the concealer pen, a black eyeliner and an eyebrow pencil. All priced at under €5! The concealer pen by Lacura (Aldi's makeup brand), is a nifty little device with a little click button at the bottom for dispensing and is available in three shades; Savannah, Amber and Cashmere. It boasts light reflecting technology, always great news for a concealer as it means it's pretty perfect for contouring and highlighting the under eye area. Though this shade is a little dark for me (I tried the Savannah which is the lightest shade), I would imagine it'd be perfect for anyone who is a shade up from Casper. It did work well for contouring though! 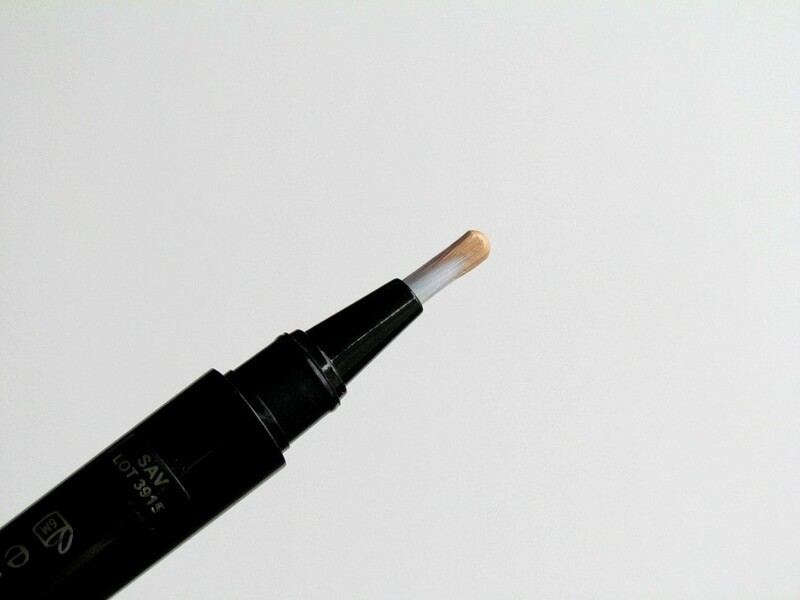 The consistency is slightly on the heavy side, in a good way as it provides excellent coverage and stays put really well, not all that different from Yves Saint Laurent's holy grail concealer, Touche Éclat. The perfect concealer for dancing the night away. Priced at just €4.29 it'd be an excellent addition to your makeup bag. The eyeliner is an absolute dream. I've been using the black eyeliner pretty regularly in place of my liquid liner it's that creamy and sumptuous in colour. Stays put throughout the day and works splendidly on both the upper lid and the waterline. The eyeliner comes with a little smudge tool attached and a pencil sharpener which is cause for celebration as not many do these days. Coming in at €3.29 this would be my must-have recommendation. 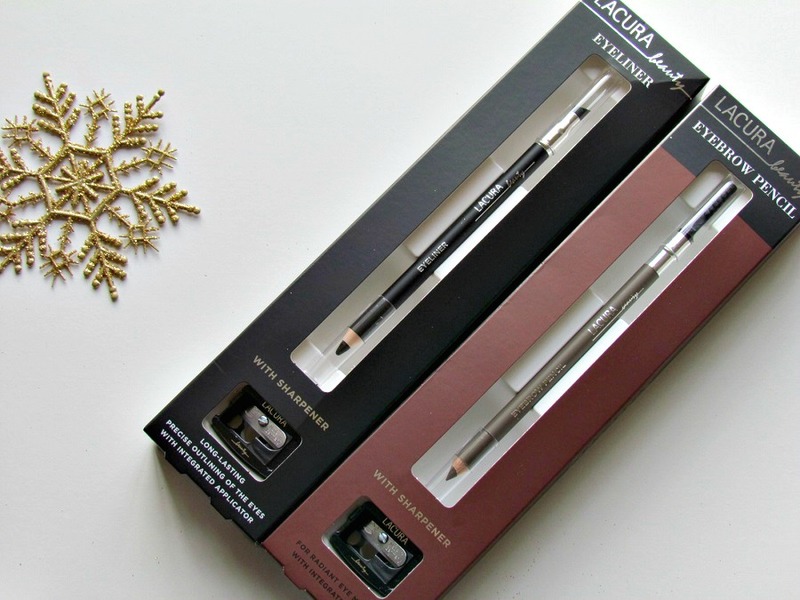 The eyebrow pencil comes with a spooly attached and again, with a sharpener (yay!) and is available in two shades; blonde and brunette. As a red head the brunette is usually my go to as I prefer a darker brow with a hint of warm brown tones. 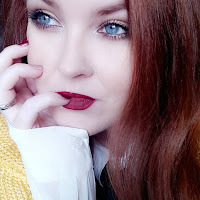 The brunette eyebrow pencil is a cool toned brown and it definitely enabled me to enhance my (usually red blonde) brows to a somewhat HD brow look. Again, this is priced at €3.29 and is a solid buy for brunettes. To make it work for red heads just set the brow with a little warm toned brown eyeshadow. When you think of the price of some eyebrow pencils out there at the moment, I can guarantee this little buy is an absolute bargain. Aldi have also released a new mascara (€2.99), an eyeshadow box (€4.99) and a mineral powder with a brush (€5.49). 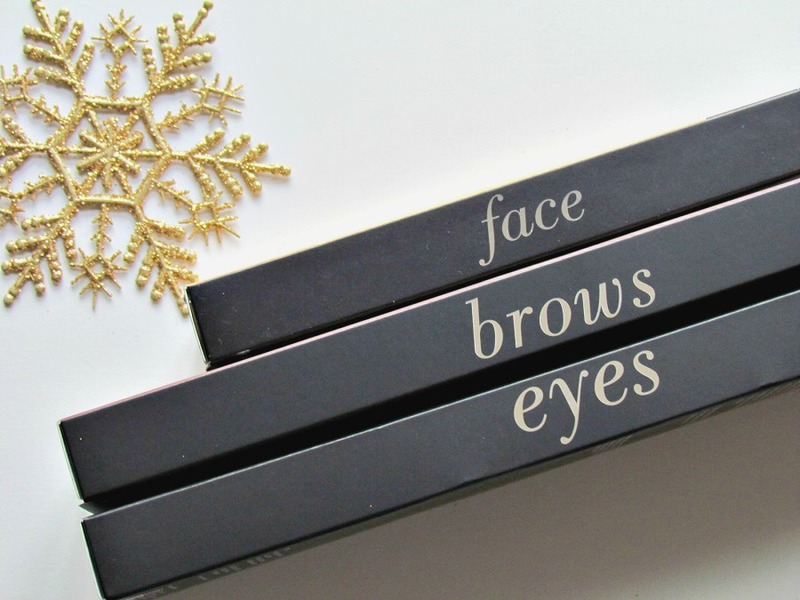 All you need for getting your visage through the festive season. 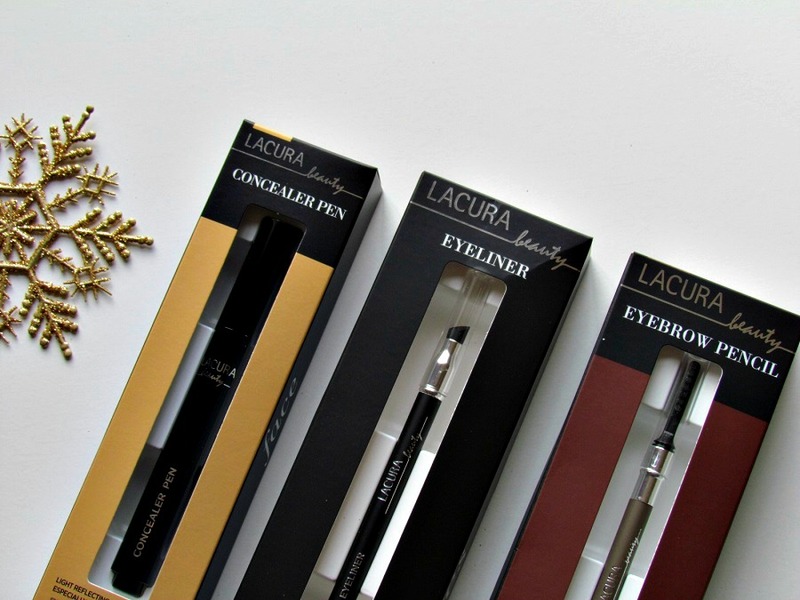 I was really impressed with Aldi's makeup brand, Lacura, and can't wait to try more from the range. 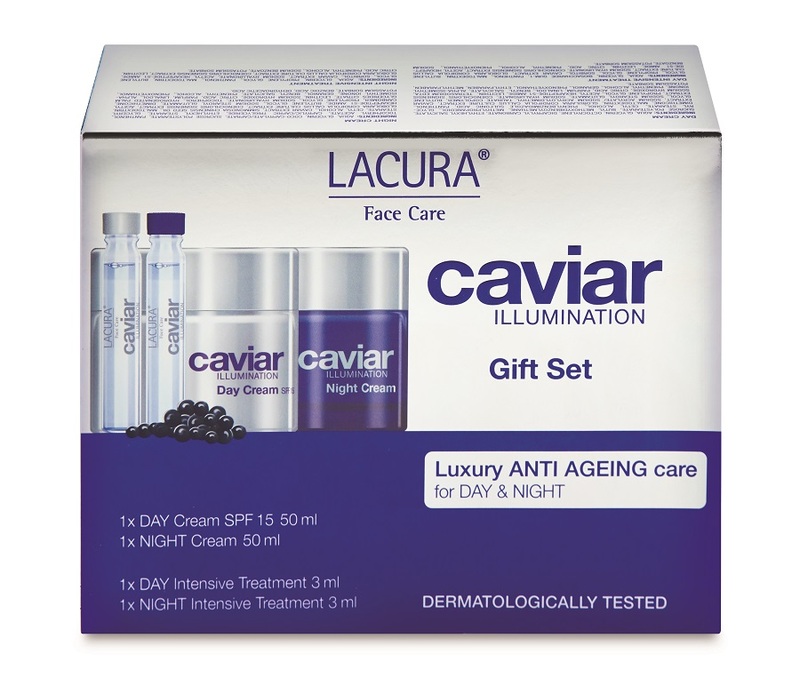 Next up on my list would have to be their skincare, I've heard wonderful reports on the likes of the Cavier Illumination range and considering Aldi are releasing a Cavier Illumination gift set containing Day cream, Night cream, a 3ml Day Intensive Treatment ampoule and a 3ml Night Intensive Treatment ampoule for just €17.99, it's an incredibly affordable skin care option. This set will be available instores from 17th December but best be quick as the range last sold out nationwide in October! Any of these or all of these (if you're feeling super generous) would make for excellent Christmas gifts for others or for yourself... oh come on, we all do it, a gift for you and a gift for me... it makes gift buying all the more fun don't you think? Have you tried any Aldi skincare or bits from their makeup range yet? I'd thoroughly recommend you do!